Three hundred and ninety years ago the Dutch water-boarded and then executed a group of British merchants on the trumped-up allegation of plotting to seize the Dutch fortress on the island of Ambon, now part of Indonesia where it is called Maluku. Remember the Amboyna Massacre! became fighting talk in London for fifty years, leading to a decade of litigation in The Netherlands, and ultimately to the first Anglo-Dutch War of 1652-54 The British won that one – and also the second war of 1655-57, and the third war of 1672-74. The real reason for the massacre was that the Dutch were determined to hang on to their monopoly of the nutmeg harvest on the island, and make sure the British didn’t undercut their prices or their influence with the local sultans, who controlled the indigenous nutmeg plantations. 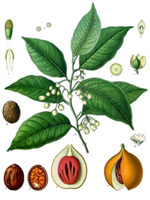 In those days, nutmeg was more than the sweet spice it’s thought of today. It was a strategic commodity – almost a matter of national security. That was because it was believed to be able to ward off the fatal attack of the Black Plague. The British and Dutch were fighting also for sea routes and colonial assets capable of producing much more than nutmeg. Along the way, the Dutch lost New Amsterdam (aka New York) and much more besides. The Amboyna massacre had another unintended outcome – having lost the heads of several of its best men, the British merchant holding, the East India Company, decided to give ground in Indonesia, and moved to entrench themselves in India instead. 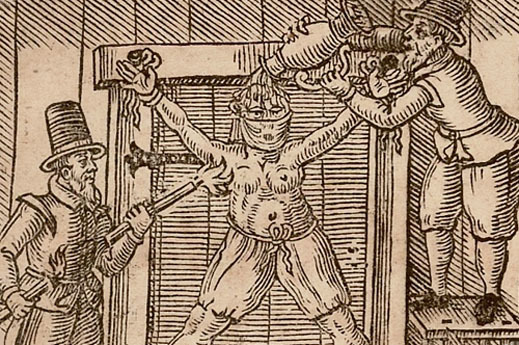 At the litigation stage, before the warring started, the British position was that the Dutch had no jurisdiction to put their victims on trial for treason, let alone suffocate them and cut their heads off. That was judicial murder, according to the British reading of the applicable Dutch and English laws and case precedents. The Dutch insisted they had the jurisdiction to do what they did. By the time the litigation was over, with acquittals of the Dutch judges who had ordered the Amboyna Massacre, it didn’t matter. War did. Fast forward to last week at ITLOS in Hamburg – that’s the International Tribunal for the Law of the Sea. It’s here that the Dutch government has mounted a legal case against Russia for the release of the Greenpeace vessel, Motor Yacht Arctic Sunrise, and its 30-person crew, who have been under arrest in the Barents Sea, above the Arctic Circle, since September 19. To understand what exactly Greenpeace did in and around Gazpromneft’s offshore oil production platform, Prirazlomnaya, read this. And to understand the strangeness of the Dutch legal somersault – against Greenpeace for doing much the same thing to a UK company platform in Greenland waters; in support of Greenpeace against Russia’s actions – read the sequel. So far in its publicity, Greenpeace and the media supporting it haven’t mentioned the two Greenland trials, convictions and fines of 2010 and 2011, nor the pending prosecution of Greenpeace as an organization which has taken the Greenland police prosecutor more than two years to compile. By that standard, the Investigative Committee of the Russian Prosecutor-General is moving against Greenpeace expeditiously. The Russian government’s position in the ITLOS proceeding is clumsily put, weakly argued, embarrassingly spelled. But it’s clear Russia’s position is that legally it has the right to defend its sovereign territory from seizure, invasion, occupation, or attack; and that when such actions occur at sea, there can be no intervention by the Dutch in the measures Russia takes to enforce criminal arrest, investigation, prosecution, trial, and its outcome. The Russian position is that its sovereignty extends to oil and gas platforms fixed on the seabed dozens of miles offshore. That sovereignty, the argument runs, extended to the Arctic Sunrise when it was positioned at coordinates 69 degrees 20, 5 minutes N, 57 degrees 17, 19 minues East, and then despatched inflatable boats – reports differ on whether there were two, four or six — to the Gazpromneft oil production platform Prirazlomnaya, about 60 nautical miles offshore. “The actions of the Russian authorities in respect of the vessel “Arctic Sunrise” and its crew have been and continue to be carried out as the exercise of the jurisdiction, including criminal jurisdiction, of the Russian Federation in order to enforce laws and regulations of the Russian Federation as a coastal State in accordance with the relevant provisions of the 1982 United Nations Convention on the Law of the Sea. Both sides acknowledge there was plenty of advance notice of Greenpeace’s intentions, and Russia’s objections. There had been a protest by Greenpeace against Prirazlomnaya a year earlier, in August 2012. Then in august of this year Greenpeace had conducted protest operations in the Barents and Kara Seas against oil exploration activities of Rosneft and Exxon Mobil. Presumably the Russian services had been monitoring the movements of the Arctic Sunrise through the August-September period by satellite, flyover and surface means. As an international tribunal ITLOS is providing a full record of its proceedings, and this can be read here without the glosses publicized by Greenpeace. The organization argues that its arrestees and its vessel enjoyed a right to free speech at the oil platform; that since they weren’t armed they weren’t liable to piracy charges or to armed arrest and detention; and since the Russian prosecutors were taking their time to examine the evidence, the Greenpeace crew didn’t deserve to be in prison, nor the vessel under arrest in Murmansk port. On November 6, the judicial bench at ITLOS comprised 21 judges; one was off sick. Before them, representing the Netherlands Government and Greenpeace, were 7 lawyers, most of them from the Dutch Foreign Ministry. The Russian Government was represented by noone. The public benches were occupied by Greenpeace supporters. The transcript can be read here. Liesbeth Lijnzaad, the chief advocate for The Netherlands, told the tribunal that Russia had an obligation under conventions of the Law of the Sea it has ratified to accept the jurisdiction of the tribunal to consider the case; and that even if it didn’t, it had the duty to appear before the tribunal to argue its case. As for the details of the case itself, Lijnzaad argued that Russian action to board the Arctic Sunrise lacked legal authority, and that subsequent actions to hold the vessel and crew in Murmansk demonstrated an “indecisive legal position of the Russian Federation as to the justification for its actions”. Vladimir Golitsyn is a Russian expert on Law of the Sea and the Russian judge sitting on the tribunal in this case. He is a university professor of law in Moscow. From the bench he asked Daniel Simmons, the Greenpeace counsel called by the Dutch to testify, to say what he and Greenpeace understood to be the legal hazards, according to Russian law, before they launched their attempt to board the Prirazmomnaya. MR SIMMONS: We always conduct an assessment of the legal risks that may be involved in advance of any protests at sea. This assessment is made available to management. It is also made available to prospective participants in such a protest, and they have the ability to opt out of the action if they are not comfortable with the risks that are entailed. Of course, the content of that legal advice is privileged. I therefore believe it would be problematic, in view of the ongoing prosecutions in Murmansk, if I were to disclose the exact content of the legal advice that was given at that time. JUDGE GOLITSYN: In the light of what you have just told us, it would be understood that the crew members who took part in these activities were aware of the fact that they may be detained and prosecuted under Russian law for violation of safety regulations in the safety zone and on the continental shelf installation. It looks like Greenpeace decided, in advance, to run the gauntlet of Russia’s regulations and did not expect to be arrested and held for trial, even though that is what had happened when they had done the same thing twice before in Greenland. The Dutch case focused, less on the intention of the Greenpeace group, than on the rules regulating the boarding and seizure of the Arctic Sunrise. Lijnzaad told the tribunal the general prohibition against boarding vessels in waters of an exclusive economic zone was subject to five exceptions which “must be explicit and narrowly construed.” None, she argued, applied to the Arctic Sunrise. She also argued that Russian rules regarding the enforcement of 3-nautical mile security zones around oil production platforms are too broad, and that the international conventions allow for a limit of just 500 metres. After criticizing the Russian prosecutor for inconsistent wavering between piracy and hooliganism as the Criminal Code charges laid against the Greenpeace group, Lijnzaad claimed regarding “hooliganism” that “although such conduct may be prohibited under Russian law, this does not have a corollary in international law. “ Although she was speaking in English, Lijnzaad did not give the English legal term which translates the Russian “hooliganism”; that term is disorderly conduct – and it is covered in international law. So too is criminal trespass – the charge which the Greenland Government, prosecutors and courts have successfully pursued against Greenpeace. Disorderly conduct and trespass have also been recognized in the Amsterdam court judgement issued against Greenpeace on June 9, 2011. That court explicitly warned Greenpeace against repeating earlier violations, and when the court’s injunction was broken by Greenpeace a month later at an oil rig in Greenland waters, the Dutch court imposed a fine of €50,000. In response to probing of Greenpeace’s intentions and of what it knew, or should have known of the Russian Criminal Code and maritime regulations, the Dutch legal team provided written answers to the tribunal on November 7. These can be read in full here. From this record it is evident that in Moscow the federal Ministry of Transport had been slow to implement a presidential decree of January 2013, ordering new measures to secure the offshore drilling zones against penetration by protest groups or anyone else. That slowness also weakened the basis on which the Russian Coast Guard had acted when the Greenpeace move was made at Prirazlomnaya on September 19. Simmons of Greenpeace had a week before the operation to know of this order. He opted to ignore it. But Simmons already knew what the presidential decree of January had ordered. In that document, Putin had decreed that the Transport Ministry was in overall charge of measures for “determining the measures to ensure the safety of navigation in the safety zones established around the artificial islands, installations and structures on the continental shelf of the Russian Federation, as well as measures to ensure the safety of such artificial islands, installations and structures”. For implementing regulations and introducing security measures, the ministry was required to coordinate with the Federal Security Service (FSB) and the Ministry of Defence. Here are the exact words of the decree. And here is Putin’s clincher – according to section 2 of the decree, the three government agencies were given a deadline to introduce the new security regime – a “period of 3 months to bring their acts in compliance with this Decree.” The deadline fell on April 14, 2013, five months before Greenpeace tried breaking into the Prirazlomnaya in the Barents Sea. The Russian Foreign Ministry is now arguing that this was its intention. But it’s also clear that when Putin himself dismissed the charge of piracy in a statement of September 25, he also knew that the Transport Ministry, FSB, Defence Ministry and the Coast Guard had failed to prepare adequately in advance. Their delay of five months was almost certainly a case of bureaucratic incompetence and negligence. The faults on the Russian side have been cleverly exploited on the Greenpeace side – and by the Dutch Government. ITLOS has yet to rule, and the Dutch presentation may not convince the tribunal that it has jurisdiction to rule against Russia’s claim to exercise sovereignty. It may rule that while Russia can exercise sovereignty and protect its offshore oil and gas platforms with the full force of Russian criminal law, it cannot do so unchecked by commitments Russia has also accepted under the Law of the Sea conventions it has already signed. These clearly provide for advance notice and cooperation with the flag-state governments responsible for ships, such as the Arctic Sunrise. In preparing this article, and the two which have preceded it, it has proved impossible to get a single acknowledged Russian expert on the Law of the Sea to comment on the issues at stake. The record shows that since the January presidential decree Greenpeace deployed the Arctic Sunrise to probe the readiness of the Russian authorities in the Arctic to respond to protest activities. The subsequent legal gaps in the case the prosecutors have prepared, along with the shift between piracy, hooliganism and other charges demonstrate that the Russian government agencies didn’t know what to do when the time came – and when that time came, the record also shows that they lacked the legal foundation in the statute and rule book for their case. Greenpeace’s miscalculation was in thinking that would be their opportunity. From then on this was a case of deterrence, not law. Note: if nutmeg is more your fancy, Ambon more than Prirazalomnaya, then read: Giles Milton, Nathaniel’s Nutmeg – How One Man’s Courage Changed the Course of World History (1999).